Scandinavian design, elegant colours and sublime sound quality! Rooted in Denmark, a small Scandinavian country well known for its re- markable and proud design history, International Receiver Company decided to set new standards in terms of design, materials and technology in our Audio range 2014 series. While our last series, the Signature Line, focused on a minimalistic expres- sion with sharp edges, our new 2014 series, The White Line, moves in a softer direction, with rounder shapes, while simultaneously allowing the user a greater freedom to choose in regards to his or her individual prefer- ences. 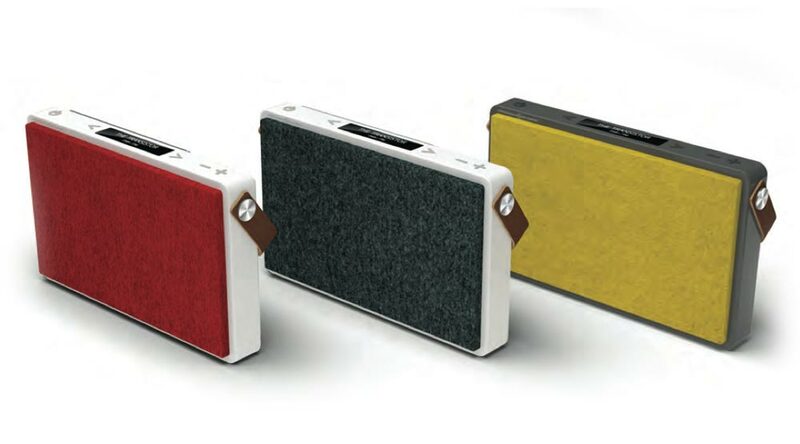 This includes the choice between the traditional loudspeaker-look and the fabric-look. Functionality, freedom of choice and individuality are the core principles of The White Line. As in all our products, technology has been utilized to its utmost capabili- ties. Place your smartphone on any of our products and connection is made available immediately. Control and configure the products via apps (IOS/ Android). New and innovative services such as Spotify, Google Chrome Cast and others are available on several of the products.